The Weather Channel is well on its way to the launch of its first HD studio programs, Your Weather Today and Evening Edition, on June 2, 2008. By early May, sets will be in place for the start of rehearsals from a four- story-high HD studio. 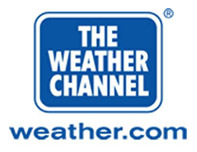 On the distribution side of its HD initiative, The Weather Channel has reached agreements for carrying The Weather Channel HD with all six of the top programming distributors. These are: Charter Communications, Comcast Cable, Cox Communications, DirecTV, EchoStar Communications and its DISH Network, and Time Warner Cable. In addition, the network has signed HD agreements with many other cable companies. Launches have already been completed in many markets and others are planned for upcoming months. and general counsel for The Weather Channel Companies. shots in our series or live in-the-field coverage during hurricane season.